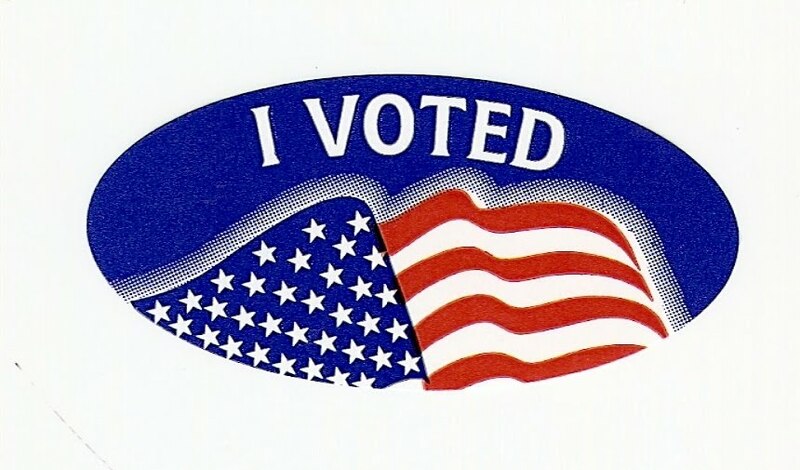 I voted today in the "Mid Term" elections. I don't expect much change to come of it, but I vote for just the opposite reason that I am told not to bother. By this I mean that, if my vote is just a meaningless ritual that the Government has me go through every few years, just to make it all seem legitimate, then they, in effect, need me just as much as I do them. Interesting thought... and I welcome differing opinions. A sign of hope at the polls today was the daughter of Blake Kiger,one of the School Board candidates. I don't really follow the School Board stuff anymore, being an "empty nester", with grandkids whom all live out of state, but Sue and I figured it this way - if this guy could get his obviously intelligent and well poised 12 year old out to pull for her old man, he must know something about kids. And so,he got our votes. Long and short of it is this, get out and vote! They make it real easy, even for the Handicapped. You drive to the polling place,or someone drives you, and then wait in the car while someone goes in to get a Waiver and Ballot form. A Poll Watcher comes out, checks your ID, which is something they do not do inside and should, and then lets you vote in your car. I'm not there yet, but it's nice to have the option should the need arise. Another moment worth remembering was the Referendum for the County to "Not Appoint as Sheriff any person who has been Convicted of a Felony." My knee jerk reaction was to say, "Duh", and I voted for it. While talking with another guy on the way out though, we both agreed that there was much merit to the question, "Which types of Felony's", and what about stuff in the future that may become a Felony. So, we both left with reservations concerning that issue, though my gut instinct still tells me it's a good idea to keep Convicted Felons from becoming Sheriff. So, go and Vote! If not for you, do it for me. Oh, and it's free. 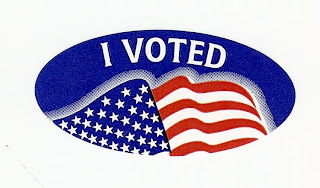 And, more importantly, if you don't vote, then you forfeit your right to complain.